The 2nd International Conference on Global Food Security at Cornell University, Ithaca, USA is now completed and the delegates probably back in their offices. It has been a conference where the delegates could make “brave” conclusions on problems far away – conclusions without any consequences for their own daily life. It is very easy to sit comfortable in a well paid professor position at high ranked US universities and designing solutions with huge consequences for the daily life of people in developing countries continents away. For example, one of the themes discussed at the “workshop cafés” was “Feeding Fish to Pigs or People: What Role for Reduction Fisheries in Achieving Food Security (Roz Naylor, Stanford University)” Principal questions are; 1) is it more irresponsible feed fishmeal to domestic livestock than for instance grains as wheat and soya – both fish and grain are excellent food sources for direct human consumption” and 2) Who should eventually pay the additional cost for bringing Peruvian anchoveta to the poor in Africa? Do Peruvian fisherman have a higher responsibility for feeding the poor than for instance wealthy American grain farmers? Both produce excellent products for human consumption which often ends up as feed. On direct question to the convener – she replied “the wheat farmers have farmed for generations” implied that they do not have any responsibility. I suppose there was not sufficient courage to share the responsibility. That could also give “unwanted” consequences as reduced financial contributions to the university salaries? The marine ecosystems accounts for more than 50% of the primary production of the world, but only slightly more than 1% of our energy intake comes from seafood. There is a tremendous potential for increasing this contribution through increased aquaculture production and by harvesting at underutilized resources at lover thropic levels as zooplankton or mesopelagic fishes. The genus Cyclothone is probably the most abundant vertebrate on earth, and the estimated total biomass of mesopelagic fishes is in the scale of 10 billion tons. Global by-catches of fish are estimated to be between 20 and 40 million ton’s – equivalent to approximately 10 % of global terrestrial meat production. By-catches are fish caught and killed in fishing gear but thrown back to sea either due to lack of market or due to governmental regulations. In a global food security perspective it is important to get this superb protein and fat source on the food table or at least utilized as feed. 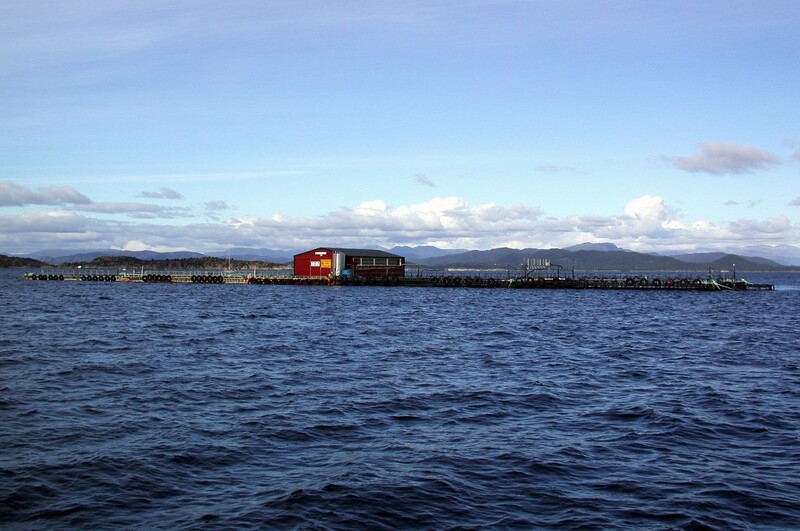 Marine finfish aquaculture production is in its “childhood”, but within the last decades salmon farming has reached a production of more than 2 million tons. Not a tremendous production quantity, but at an impressive rate of feed efficiency. This give twice the amount of human food provided compared to feeding chicken and pigs the same amount of feed! You get twice as much food by feeding salmon compared to the most efficient terrestrial animals! Aquaculture productions of lower thropic levels have enormous potentials. Growing filter feeders or sea weed could make a major contribution to the worlds food supply and also contribute to replacement of fossil fuel. Contributions measured in 100’s of million tons without serious ecological consequences. The “2nd International Conference on Global Food Security choose the have their marine focus on “Feeding fish to pig”. Rough estimates indicate that less 20% (less than 1 million tons) of fishmeal is used for terrestrial feed, and this quantity is continuously declining. In a marine language – “it’s a pee in the ocean”. A serious “pee” however, because it takes focus away from important questions and enormous potentials. A sustainable use of the ocean can solve the food security issue in the foreseeable future! Previous Post:Food is more than grains and meat!